My research focuses on embodiment -- how the mind influences the body, and the reciprocal, how bodily changes influence thoughts, emotions, and intentions. Some of the current reseach examines how emotions are experienced differently along the developmental trajectory, how aging influences risk perceptions and risk taking, how decisions are influenced by acute and chronic stress, and how people manage and attempt to control their racial biases and how those regulatory attempts often fail revealing greater racial bias. Linked publication: Waters, S. F., West, T., & Mendes, W. B. (2014). Stress contagion: Physiological covariation between mothers and babies. Psychological Science, 25, 934-942. Linked publication: Waters, S. F., West, T. V., Karnilowicz, H. K. & Mendes, W. B. (in press). Affect contagion between mothers and babies: Exploring the role of touch and valence. Journal of Experimental Psychology: General. Affect contagion between mothers and babies: Exploring the role of touch and valence. Blascovich, J., Mendes, W. B., Vanman, E., & Dickerson, S. (2011). 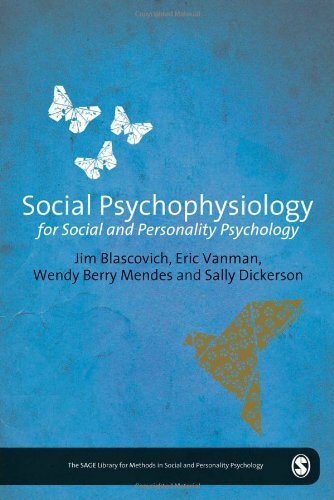 Social psychophysiology for social and personality psychology. Thousand Oaks, CA: SAGE. Gramzow, R., Willard, G., & Mendes, W. B. (2008). Big tales and cool heads: Academic exaggeration is related to cardiac vagal reactivity. Emotion, 8, 138-144. Jamieson, J., Mendes, W. B., Blackstock, E., & Schmader, T. (2010). Turning the knots in your stomach into bows: Reappraising arousal improves performance on the GRE. Journal of Experimental Social Psychology. Jamieson, J. P., Koslov, K., Nock, M. K., & Mendes, W. B. (2013). Experiencing discrimination increases risk-taking. Psychological Science, 24(2), 131-139. Kassam, K., Koslov, K., & Mendes, W. B. (2009). Decisions under distress: Stress profiles influence anchoring and adjustment. Psychological Science, 20, 1394-1399. Koslov, K., Mendes, W. B., Patjas, P., & Pizzagalli, D. A. (2011). Asymmetry in resting intracortical activity as a buffer to social threat. Psychological Science, 22, 641-649. Mendes, W. B. (2010). Weakened links between mind and body in older age: The case for maturational dualism in the experience of emotion. Emotion Review, 2, 240-244. Mendes, W. B., Blascovich, J., Hunter, S., Lickel, B., & Jost, J. (2007). Threatened by the unexpected: Physiological responses during social interactions with expectancy-violating partners. Journal of Personality and Social Psychology, 92, 698-716. *Winner of the Gordon Allport Award, 2007. Mendes, W. B., Blascovich, J., Lickel, B., & Hunter, S. (2002). Challenge and threat during social interactions with White and Black men. Personality and Social Psychology Bulletin, 28, 939-952. Mendes, W. B., Gray, H., Mendoza-Denton, Major, B., & Epel, E. (2007). Why egalitarianism might be good for your health: Physiological thriving during stressful intergroup encounters. Psychological Science, 18, 991-998. Mendes, W. B., & Koslov, K. (2013). Brittle smiles: Positive biases toward stigmatized and outgroup targets. Journal of Experimental Psychology: General, 142(3), 923-933. Mendes, W. B., Major, B., McCoy, S., & Blascovich, J. (2008). How attributional ambiguity shapes physiological and emotional responses to social rejection and acceptance. Journal of Personality and Social Psychology, 94, 278-291. Mendes, W. B., Reis, H., Seery, M. D., & Blascovich, J. (2003). Cardiovascular correlates of emotional expression and suppression: Do content and gender context matter? Journal of Personality and Social Psychology, 84, 771-792. Muhtadie, L., Koslov, K., Akinola M., & Mendes, W. B. (2015). Vagal flexibility: A physiological predictor of social sensitivity. Journal of Personality and Social Psychology, 109, 106-120. Waters, S. F., West, T., & Mendes, W. B. (2014). Stress contagion: Physiological covariation between mothers and babies. Psychological Science, 25, 934-942. Waters, S. F., West, T. V., Karnilowicz, H. K. & Mendes, W. B. (in press). Affect contagion between mothers and babies: Exploring the role of touch and valence. Journal of Experimental Psychology: General. Linked other: Affect contagion between mothers and babies: Exploring the role of touch and valence. Mendes, W. B. (2009). Autonomic nervous system. In E. Harmon-Jones and J. Beer (Eds. ), Methods in Social Neuroscience (pp. 118-147). New York: Guilford Press. Mendes, W. B., & Jamieson, J. (2012). Embodied stereotype threat: Exploring brain and body mechanisms underlying performance impairments. In M. Inzlicht and T. Schmader (Eds. ), Stereotype threat: Theory, process, and application. New York: Oxford University Press. 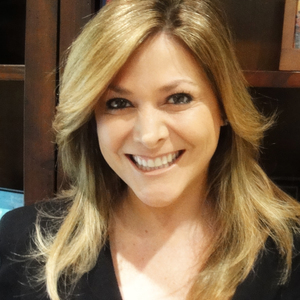 Blascovich, J., & Mendes, W. B. (2010). Social psychophysiology and embodiment. In S. T. Fiske, D. T. Gilbert, and G. Lindzey (Eds. ), The Handbook of Social Psychology (5th ed.). New York: Wiley. Waters, S. F., West, T., & Mendes, W. B. (in press). Stress contagion: Physiological covariation between mothers and babies. Psychological Science. Emotions, thoughts and intentions are not simply concepts that live privately in our minds, but rather affective states emanate from us and may influence those around us. We explored affect contagion in the context of one of the closest dyadic units, mother and infant. We initially separated mothers and infants and randomly assigned mothers to experience either a: 1) stressful positive-evaluation task; 2) stressful negative-evaluation task; or 3) non-stressful control task, and then reunited mothers and infants. Three notable findings were observed: 1) Infants’ physiological reactivity mirrored mothers’ reactivity engendered by the stress manipulation; 2) Infants whose mothers experienced social-evaluation compared to the control condition showed more avoidance towards strangers; 3) Following negative-evaluation, dyads exhibited greater physiological covariation, which increased over time. These findings suggest that mothers’ stressful experiences are contagious to their infants and that close pairs, like mothers and babies, can reciprocally influence each other’s dynamic physiological reactivity. Mothers and their babies represent one of the closest dyadic units and thus provide a powerful paradigm to examine how affective states are shared, and result in, synchronized physiological responses between two people. We recruited mothers and their 12- to 14-month-old infants (Ndyads = 98) to complete a lab study in which mothers were initially separated from their infants and assigned to either a low-arousal positive/relaxation condition, intended to elicit parasympathetic nervous system (PNS) reactivity, or a high-arousal negative/stress task, intended to elicit sympathetic nervous system (SNS) reactivity. Upon reunion, infants were placed either on their mothers’ laps (touch condition) or in a high chair next to the mother (no-touch condition). We then examined if the babies SNS and/or PNS responses changed from their baseline levels and how the dyads’ aal responses – both PNS and SNS responses – synchronized over time as a function of mothers’ affect manipulation and touch condition. Three noteworthy findings were observed. Firstly, infants of mothers assigned to the relaxation task showed greater PNS increases and PNS covariation. Secondly, infants of mothers assigned to the stress task showed stronger SNS covariation with their mothers over time. Finally, infants who sat on their mothers’ laps (i.e., touch condition) showed stronger SNS covariation than those in the no-touch condition. Taken together, these results suggest that mothers’ affective states – low-arousal positive states as well as high-arousal negative states – can be “caught” by their infants, and that touch can play a critical role in stress contagion. Waters, S. F., West, T. V., **Karnilowicz, H. K. & Mendes, W. B. (in press). Affect contagion between mothers and babies: Exploring the role of touch and valence. Journal of Experimental Psychology: General.